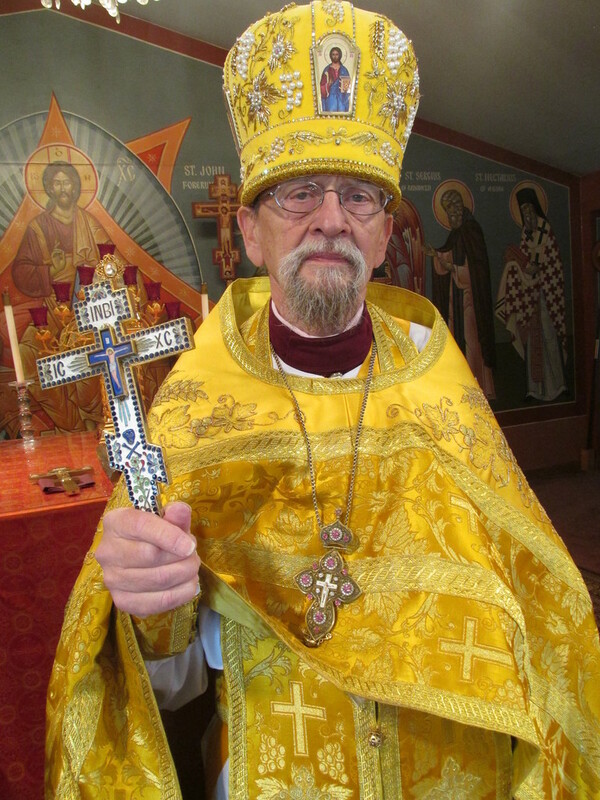 Protopresbyter Laurence Lazar, Dean of St. George Romanian Cathedral in Southfield, and current Spiritual Advisor of the COCC and Acting President of the Clergy Brotherhood, chose to use this COCC-sponsored event as the occasion for publicly honoring Mitered Archpriest Roman Star for his 30 years of dedicated service to the COCC and to the Clergy Brotherhood of Metro-Detroit, and the overall Orthodox community of Metro-Detroit. He gave his tribute near the end of the concert, and spoke about Fr. Roman’s great contributions to the Orthodox Church community. Fr. Laurence then presented Fr. Roman with a gift from the Clergy Brotherhood of a beautiful contemporary Illuminated Gospel of St. Matthew by iconographer Vladislav Andrejev. After the Vice President of the COCC presented Fr. 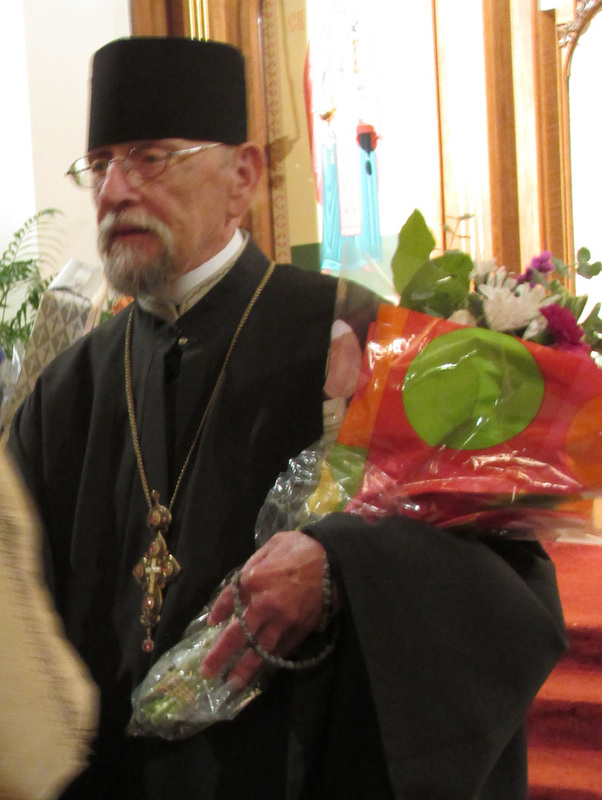 Roman with a bouquet of flowers, the Orthodox Choir then sang Many Years as a tribute to Fr. Roman. As President of the COCC and the Clergy Brotherhood, and more recently, as the Spiritual Advisor of the COCC, Fr. Roman has been providing opportunities for talented lay people to utilize their talents for the good of the Orthodox Church and its community outreach and service, and he has served as a catalyst for a number of new Orthodox ministries led by lay people. We mention just a few of the most-noted contributions Fr. Roman has accomplished. 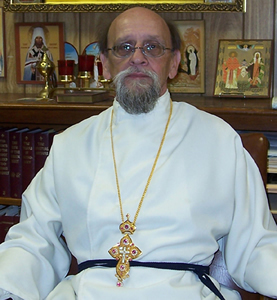 ■ He inaugurated annual Clergy Retreats during Great Lent and November, bringing in various speakers, including the Director of FOCUS North America (out of which a Detroit FOCUS Center has developed), and the Executive Director of the Orthodox Prison Ministry (out of which a Detroit area chapter of the national OPM has been formed). ■ He brought in and hosted Fr. Moses Berry and Mother Katherine, as a result of which, the 2006 Annual National Conference of the Brotherhood of St. Moses the Black was held in Detroit. ■ He established the COCC Evangelism Committee, which he chaired, in order to host the 2006 St. Moses the Black National Conference, out of which the first local chapter of the National Brotherhood of St. Moses the Black was formed, of which he still serves as the Spiritual Advisor, and which also hosted the 2011 Annual Conference. ■ In 1989-90, Fr. Roman established the COCC Music Ministry, and its Pan-Orthodox Choir to sing the responses at the COCC annual Sunday evening Lenten Vespers series, which our highly-skilled Orthodox musicians expanded to include choir concert performances and recordings. 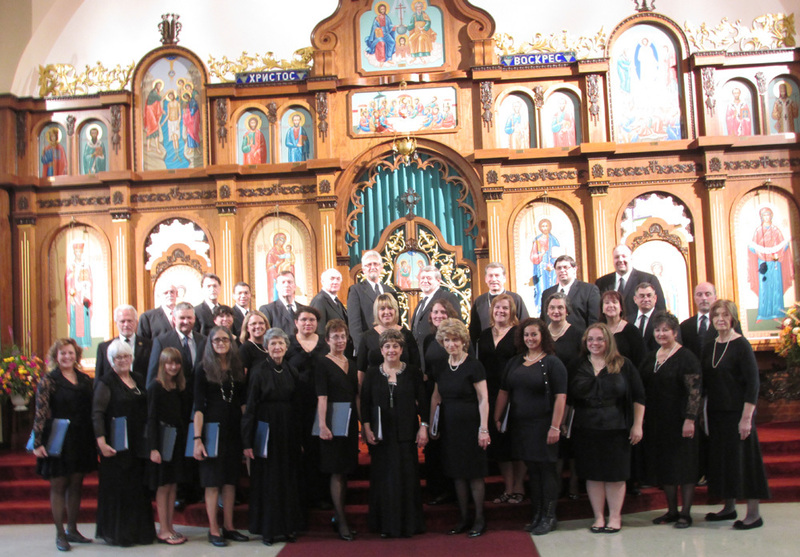 This choir continues today as “The Orthodox Choir of Detroit,” which has sung numerous concerts locally, including this current 4th Annual Benefit Concert, at which Fr. Roman was just honored for his 30 years of service. ■ The COCC was established in 1957 as a Pan-Orthodox Council of clergy and laity, whose By-Laws required that the President and Vice President be priests. In order to tap into the skills of talented lay people to serve the Church through the means of the COCC, in 2007 Fr. Roman guided the COCC to change its By-Laws to allow lay people to serve as president and vice-president. As a result, in 2008 for the first time after 51 years, the COCC has been led by lay people.